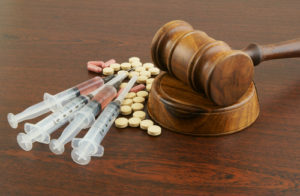 Drug crimes are increasingly looked at more seriously in Texas, and have steep consequences that will affect your livelihood, your future and more. Many people facing federal drug crime charges also face charges involving money laundering, embezzlement, and other financial offenses. The sentencing guidelines for these crimes are harsh, to say the least. At the Law Offices of Seth Kretzer, minimizing the base charge and the long-term consequences are the biggest priorities at our firm. When you are represented by the Law Offices of Seth Kretzer, you know you have a skilled team standing by your side. Led by Seth Kretzer, we have an unbeatable reputation in the legal community and a proven track record defending individuals, professionals, and business owners in complex drug crime cases. We invite you to contact the Law Offices of Seth Kretzer at 713-775-3050 when you need experienced and reliable legal assistance with your money laundering,drug trafficking and drug possession criminal defense or appeal.